Painting and playing music may seem, at best, to be loosely related to each other. They’re both forms of art, of course, but is there really more to it than that? Composer and so-called Godfather of Electronic Music Morton Subotnick thinks there is. 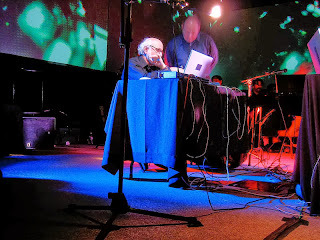 Subotnick is a classically trained musician turned rogue. He catapulted into fame with his revolutionary album Silver Apples on the Moon in 1968 (now on CD) and has been pushing barriers, entertaining presidential families, and winning awards ever since. Most recently, he's developed an app that can introduce children to musical composition in a characteristically fresh, innovative way. Pitch Painter is Subotnick’s latest effort to put electronic music-making tools in the hands of the young. Subotnick says the idea of recording, as opposed to live performance, has always appealed to him. He likes the idea of being like a painter, who gets to look at a piece and perfect it before sharing it, knowing that viewers will see is just what he wanted them to see. With electronic music, Subotnick had that ability. Now, with Pitch Painter, children between the ages of 3 and 5 can have it, too. 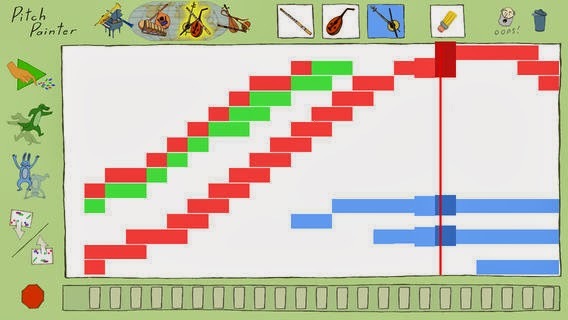 Pitch Painter is a simple app that allows children to experiment with sound and musical composition with a few taps of a finger. First, a child chooses from a variety of familiar and exotic musical instruments. Next, the child “paints” on the screen with a finger, perhaps sticking with just one instrument or maybe adding a few more. At any time, she can play back what she’s painted. A long, straight line down the middle of the screen will result in a single, mid-register note held for a long time. Upward swoops will lead to higher-pitched sounds. Single dots will be played as individual notes. Each instrument shows up on the canvas as a different color, so children can layer them, listen to the resulting piece, then go back and make changes. The app, Subotnick confesses, won’t make symphonies. But it introduces young children to music in the same way that playing with building blocks introduces kids to engineering. Pitch Painter is available through the iTunes store for $3.99.